Have you ever had that feeling where you like something so much, it scares you? not like 'boo! ', but like a pit in your stomach that could swallow you whole. The fear is increased however, whenever there is an announcement of a sequel/prequel/reboot in the worlds of cinema, or even gaming, of the thing you love. The same goes for music. 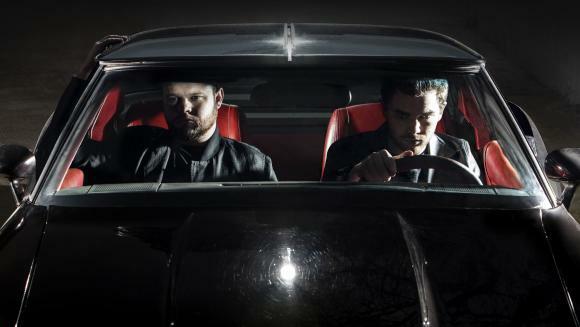 Royal Blood's eponymous debut was not only a huge success for the band, it was much loved around these here parts. So much so that it was awarded our highest rating of five booms. Obviously nervous of the often described second album syndrome, its follow up, although highly anticipated, made that pit just a wee bit bigger. The opening track 'How Did We Get So Dark? ', quickly allayed initial fears of wrongness. It comes flying out of the tracks, echoing a Queens of the Stone Age vibe, with guitars soaring and drums a-drumming. Best described as a slice of power pop, it announces itself as a pleasing piece of noise. Hot on its heels is the grungy 'Lights Out', with guitar riffs that have sonically rolled around in mud without a care in the world. 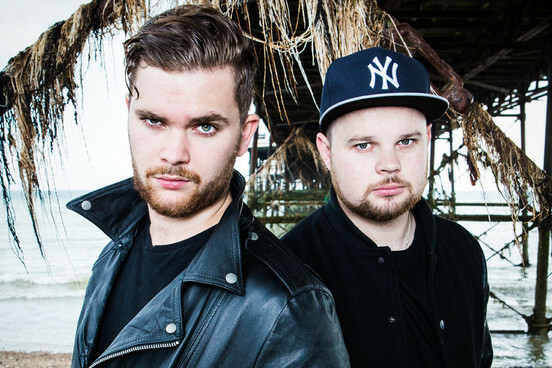 As with all Royal Blood tracks, guitars and drums drive hard throughout, with Mike Kerr constantly in battle with both for supremacy; he often loses, but puts up a swell fight nonetheless. Kerr attempts to get a head start with 'I Only Lie When I Love You' as he hits his vocals running, before the track swallows him without touching the sides. The production has a pleasing swaying quality, that not-so-quietly hypnotises you into doing the same. Front to back obviously, side to side would just look wrong. 'She's Creeping' flies out of the gate, and starts as it means to go on, edged in attitude. 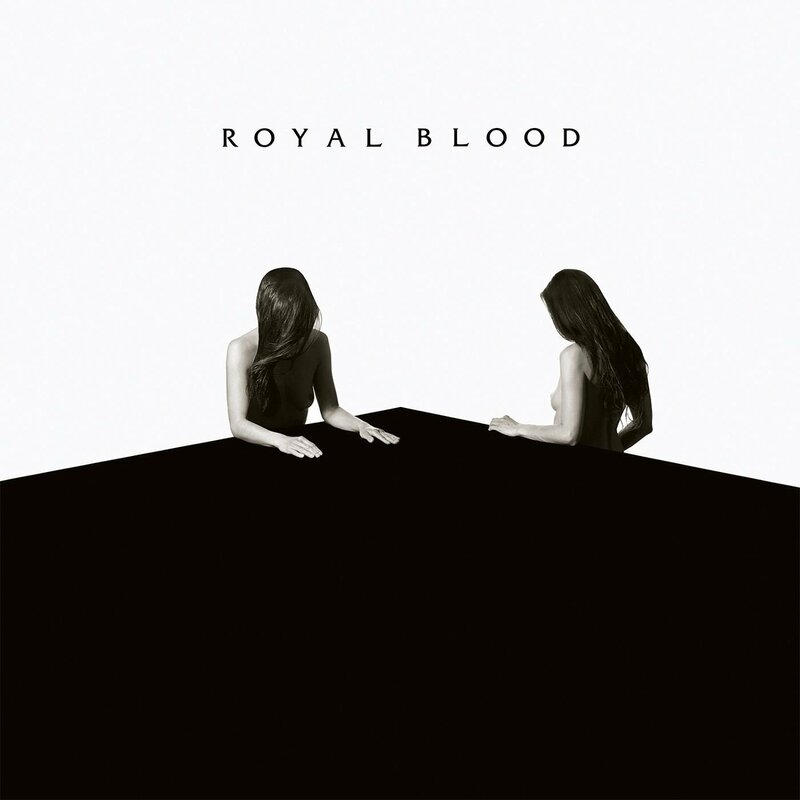 It's a tri-force of drums, guitar and vocals that swirl together, like so many Royal Blood ditties, that demand to be played with the volume up. It's not clear who is doing the creeping, or why, but let's just hope it's on clean surfaces. The band get a little bouncier with 'Look Like You Know', that has a curious retro feel to it that is oddly warming. It has a quiet growl to it rather than a full on bark, but would still feel at home on a Rock FM. 'Where Are You Now?' is the Dynamo track on the album; it takes you in one direction, only to mislead you into taking another turn. You may not see the twist coming, and may not like it when it suddenly appears. It's an interesting trick, but ends up not being a favourite. The aggression gets turned down to ear-flicking levels with 'Don't Tell'. It's a slower track that doesn't quite have the impact of others here, that also loses its way in the final third a touch. In short, a unremarkable filler. 'Hook, Line & Sinker' doesn't mess about, throwing its considerable weight around from the off. It continues to stomp menacingly throughout, taking no prisoners. It's possibly a little too brash, but there's no mistaking its presence. With the impressive medical skills that exist today a 'Hole in Your Heart' sounds like something they can fix. Possibly not this one though. Not that it's completely broken, but a little audio surgery might not have gone amiss. Before you know it, the band are drawing this album to a close with 'Sleep'. Like a real kip, it has its ups and downs, but thankfully is no nightmare. It's a little bit darker, a little bit more louder, as Kerr sings about his concerns about lacking sleep thinking about someone he cares about (possibly), sleeping - in the biblical sense - with someone else. Well, it would put you in a dark place, wouldn't it? And then it's gone. The entire album whizzing by in under 35 minutes. Obviously their first album was a hard act to follow, but this one does an admirable job, if not a wholly successful one. Perhaps it's the fact that it feels too similar to their debut, and that they could have taken more chances with this one. What we have instead is a faint facsimile that doesn't quite stand up to the greatness of the original. That said, it's still a damn good listen, that should satisfy fans until the arrival of the slightly less tricky third album.